Besher surpassed goal during his THIRD WSP book drive! 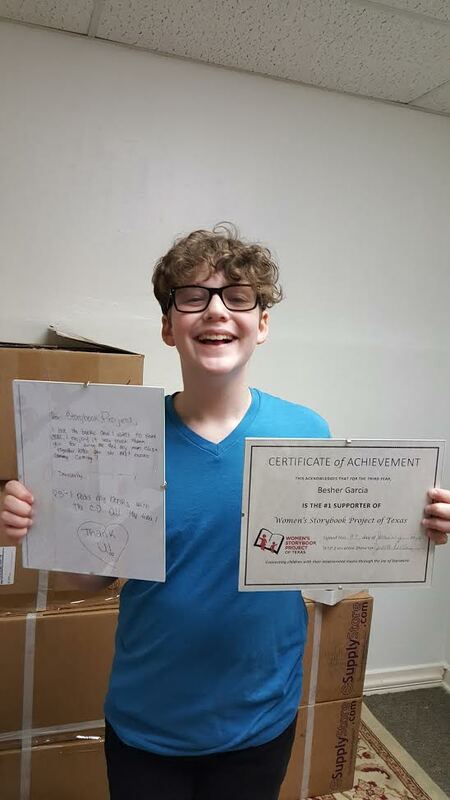 Home » News » Blog » Besher surpassed goal during his THIRD WSP book drive! Besher Garcia and his family delivered 430 books to the WSP office. He far surpassed his goal! This is the third year that Besher has conducted a book drive for WSP. 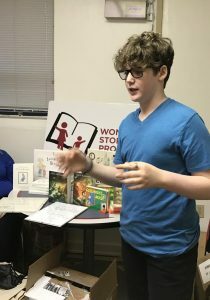 He was just 8 years old when he heard about WSP at a Barnes and Noble Holiday Book Drive. 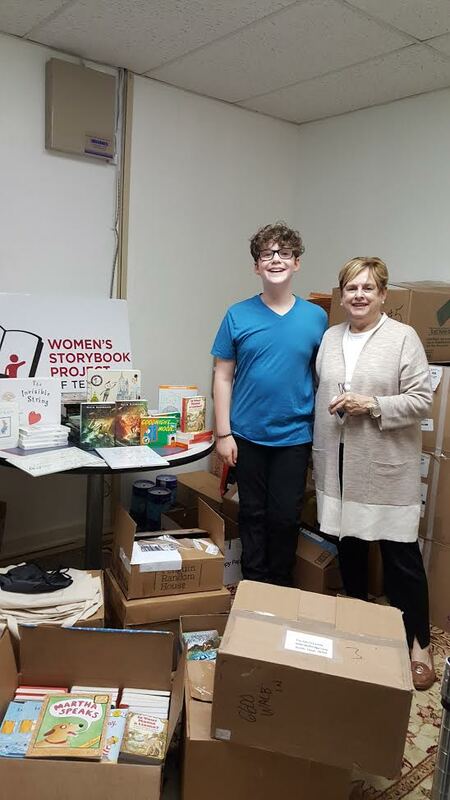 He immediately wanted to collect 64 books because he was 8 years old and 8×8 is 64. 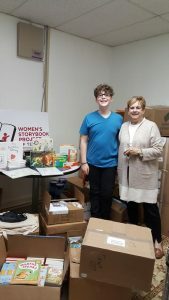 Well, he collected over 200 books during his first drive. Several volunteers greeted the Garcia family when they arrived at the office last week. 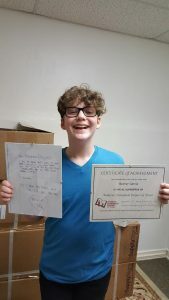 They thanked Besher for his huge contribution; and he was presented with a certificate as the best and youngest WSP volunteer. He was also given a copy of a letter from a child which he read aloud. He was very moved by this letter. Thank you, Besher. We love to see “kids helping kids”! ← THANK YOU for an Amazing 2016!